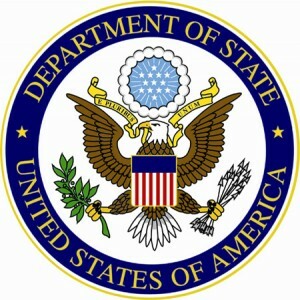 US State Department, MAP (Washington, DC, August 7, 2014) — The United States hosted a delegation of Moroccan Government officials in Washington, DC for the US–Africa Leaders Summit. On August 7, 2014, the United States and Morocco signed a Framework for Cooperation on Training for Civilian Security Services. The goal of the framework is to develop mutual expertise in the areas of crisis management, border security, and terrorism investigations to strengthen regional counterterrorism capabilities and to deny space to terrorists and terrorist networks. The framework outlines steps to identify and further develop a cadre of Moroccan training experts, jointly train civilian security and counterterrorism forces in partner countries in the greater Maghreb and Sahel regions, and measure the effectiveness of these trainings. The first joint training is scheduled for September 2014. At the signing ceremony, US Ambassador-at-Large and Coordinator for Counterterrorism, Tina Kaidanow, said Morocco is a “regional leader” in counterterrorism in the Maghreb and West Africa, MAP reported from Washington. For the US official, this agreement reflects “the exceptionally positive nature of relations in anti-terrorism assistance program with Morocco since 1986,” expressing the “enthusiasm” of the United States to start a “new phase in this partnership.” Through its laws, Morocco has demonstrated its “commitment to strengthening the capacity of fighting terrorism both at its borders and at the regional level,” she said.